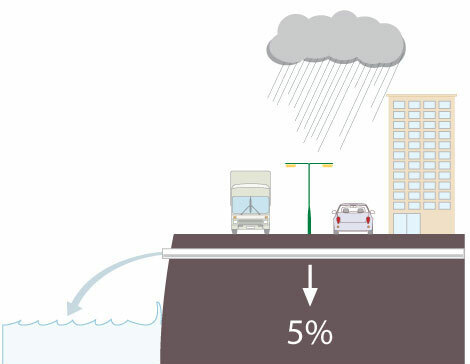 Growing urbanisation has resulted in the increase of impermeable areas – roads, driveways, parking facilities, pedestrianisation and roof surfaces. 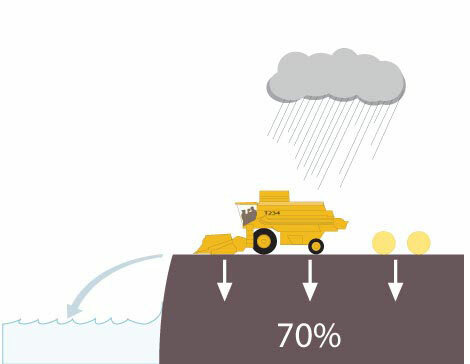 This, coupled with higher density patterns of construction, has led to ever-larger areas with very rapid water run off and a proportionately reduced area where natural, permeable drainage can occur in a controlled manner. 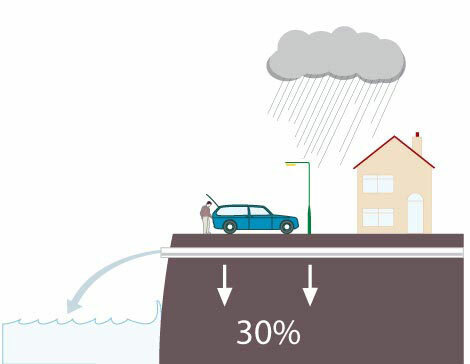 The speed of water run-off can vary by up to 90% from an undeveloped rural area through to a heavily urbanised area, as we can see from the illustrations below. Given increasing urbanisation, the new agricultural techniques and rapid expansion of cities and transport infrastructure that we have seen over the past century, the risks from faster run off and more pollution are obvious. 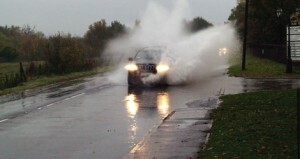 Climate change is an inevitable factor for us all: in the UK the effects have been seen in warmer, wetter, weather with more frequent extreme rainfall events. 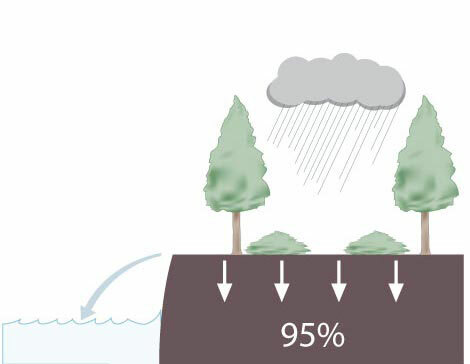 This storm water drains rapidly from the typical urban environment, causing an early peak in flow rates that can overwhelm older sewers, many of which date back to the Victorian era, and trigger a widespread flooding event. Pre and post-SuDS development run off hydrographs following storm rainfall over an urban area. 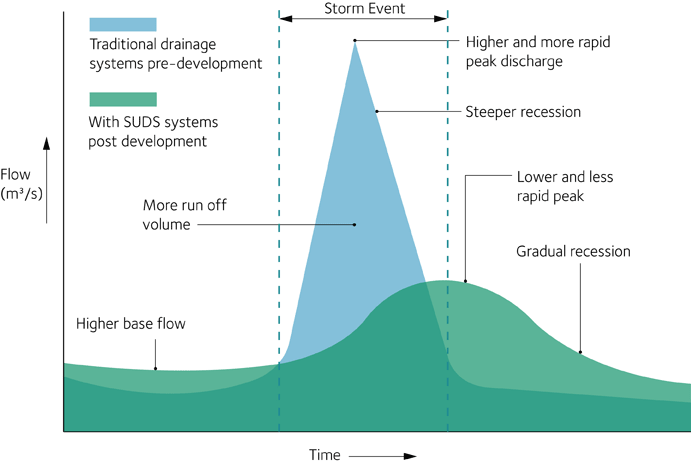 This can be contrasted with how SuDS replicate the natural flow of water with a higher base flow, as water is retained in the system, leading to a reduced and delayed peak flow rate. This serves to greatly reduce the risk of a major flood event as well as offsetting the effects of climate change and urbanisation.